NEWS REPORT: CCN Students Broke the Sound Barrier on Staten Island Ferry! 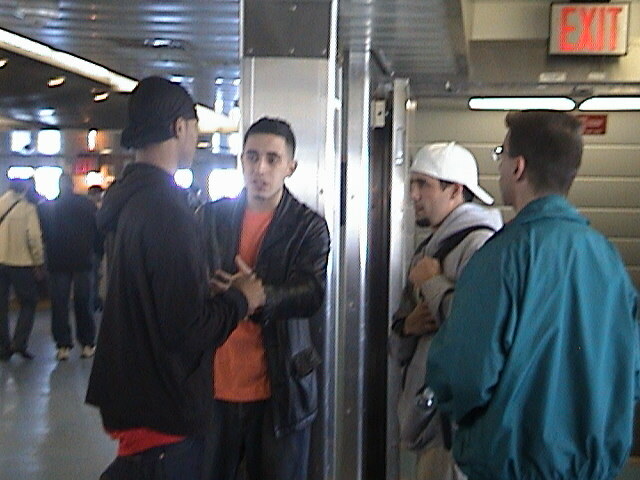 On Saturday, March 11th, GNN (www.thegreatnews.com) along with members of CCN visited the people on the Staten Island Ferry to tell them about the message of Jesus Christ. Out of the 11 Christians who attended, 5 individuals spoke open air for the first time, 3 of which were CCN students! Moreover, Robert Parker beat boxed while Tiffany spit da ill rhyme about how awesome God is. Join us for a future outreach! Those coming from Staten Island, meet at 11:30 am for prayer and to board 12 noon ferry. 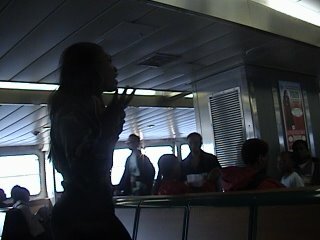 Those coming from NYC, board the 12:30 pm ferry to meet group for prayer. ***Please contact Tiffany at tiffany@changeyourcampus.com to verify that you will be there... Otherwise, we won't know to look for you!